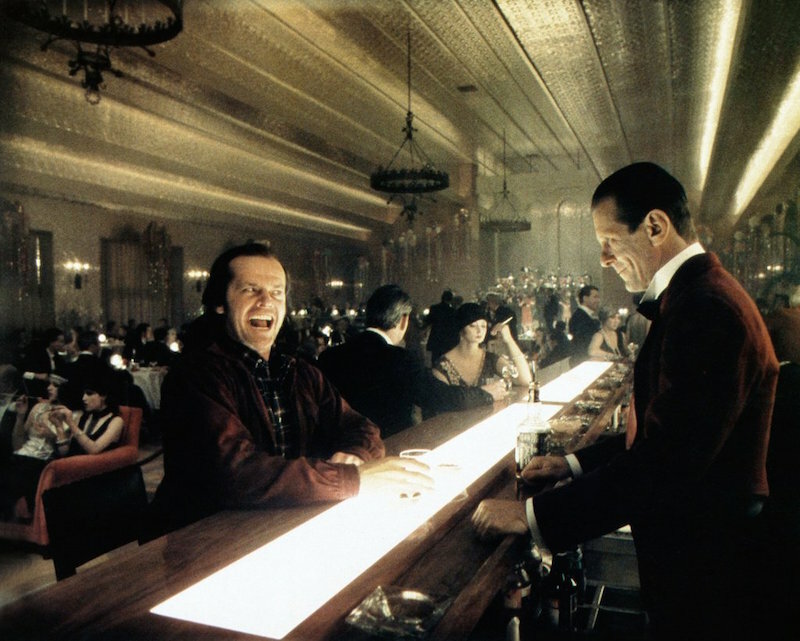 Jack Torrance (Jack Nicholson) and Lloyd (Joe Turkel) in ‘The Shining’ Photo: Warner Bros. If you can’t book a weekend at the Overlook Hotel, perhaps you’ll be content to spend an evening at The Gold Room via the Mystic Museum’s The Shining pop-up. Bearded Lady’s Mystic Museum hosts a number of supernatural and horror-themed art shows, including displays of Ouija boards and tributes to author H.P. Lovecraft. Currently on display now through May is an art show paying homage to Stanley Kubrick’s 1980 horror film, The Shining. (I also once bought a notepad with the Overlook Hotel carpet pattern on the cover there, if that’s the sort of thing you need to add to your stationery collection.) Perhaps most exciting, however, is your chance visit the Redrum Parlor Speakeasy. The Shining, based on the Stephen King novel of the same name, is about a young family hired as winter caretakers of the very haunted Overlook Hotel, a palatial hotel nestled high in the mountains of Colorado. It remains one of the history’s most critically acclaimed horror movies. In the film, Jack Nicholson plays patriarch Jack Torrance, a struggling writer and a recovering alcoholic. He moves into the hotel with his wife Wendy (Shelley Duvall) and their young son, Danny (Dan Lloyd). The snow falls, confining them to the virtually inaccessible hotel. Mystic Museum will recreate The Gold Room via their speakeasy pop-up. The night will be complete with live music, DJs, magicians, and actors portraying Jack, Wendy, and Lloyd. Guests are encouraged to dress up in 1920s attire or outfits inspired by The Shining, but costumes are not required. The Redrum Speakeasy Parlor is on March 10, March 23, April 13, and April 28 from 8 p.m. to midnight. Tickets are $75 and include themed food and cocktails plus a novelty whiskey glass.